At times, all of us tend to ‘get into the weeds’ of politics, business and/or life in general. This morning after a dark and stormy night (with apologies to Snoopy), this is what I saw looking down Guelph Line towards the lake. 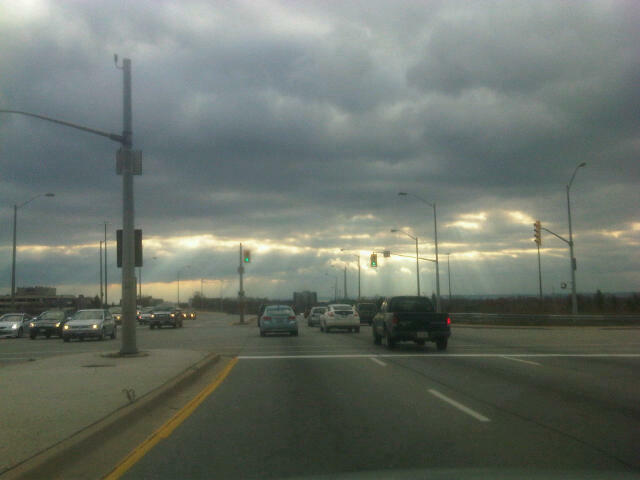 If you click on the photo, you’ll see rays of light breaking through the billowy dark clouds. There’s much more to the beauty and majesty surrounding us, than our urban landscape. Wish I had a better camera to remind me of this vivid picture in Ward 4 – although looking up on occasion, works just fine.